Network problems are awful because you can’t get online to check for help. Everybody knows the infuriating sight of No Connection, followed by hurried troubleshooting to isolate the problem. We’ve shared simple steps to diagnosing network issues 7 Simple Steps to Diagnose a Network Problem 7 Simple Steps to Diagnose a Network Problem Computer network problems are extremely frustrating. Next time you have a network issue, use this basic troubleshooting guide. Read More and the best tools for assisting with networking problems 7 Best Tools to Troubleshoot Network Issues 7 Best Tools to Troubleshoot Network Issues Do you have a networking issue? Or just want to know more about your home network? These seven tools can help you analyze and troubleshoot your network. Read More . If you still can’t figure out your issue after applying that advice, there’s a new Windows 10 feature that can help you get a fresh start. Open the Settings app (Windows Key + I is a shortcut) and browse to Network & internet > Status. Scroll down to the bottom of the page, and you’ll see a link titled Network reset. Click this. You’ll then see a warning that performing this reset will remove and reinstall all your network adapters and set everything else back to factory defaults. It also warns that you may need to install VPN software again after you do this. Click Reset now to start the complete reset. After your PC reboots, you’ll have a clean networking slate. Of course, you shouldn’t use this solution until you’ve tried everything else. 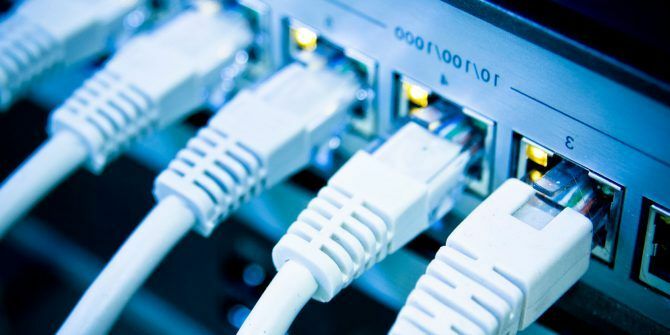 This option is great if your networking settings are messed up beyond repair, but chances are you can fix your connection issues Got a Windows 10 Wi-Fi Problem? Here's How to Fix It Got a Windows 10 Wi-Fi Problem? Here's How to Fix It Do you have issues with your Wi-Fi connection? It may be a Windows issue. We'll show you how to fix common Wi-Fi and network problems on Windows 10. Read More with something less drastic. Performing this reset doesn’t remove as much as a full Windows reset, so you won’t lose a lot. But if you can’t figure out your problem and don’t want to spend time troubleshooting, then this reset cuts to the solution quickly. Finally, if you’re having a network problem on more than one device, your issue likely lies with your router or other networking equipment. Thus, performing this reset probably won’t fix anything. Have you ever had a networking issue you couldn’t fix? Would you ever use this tool or do you prefer to troubleshoot manually? Talk to us down in the comments!